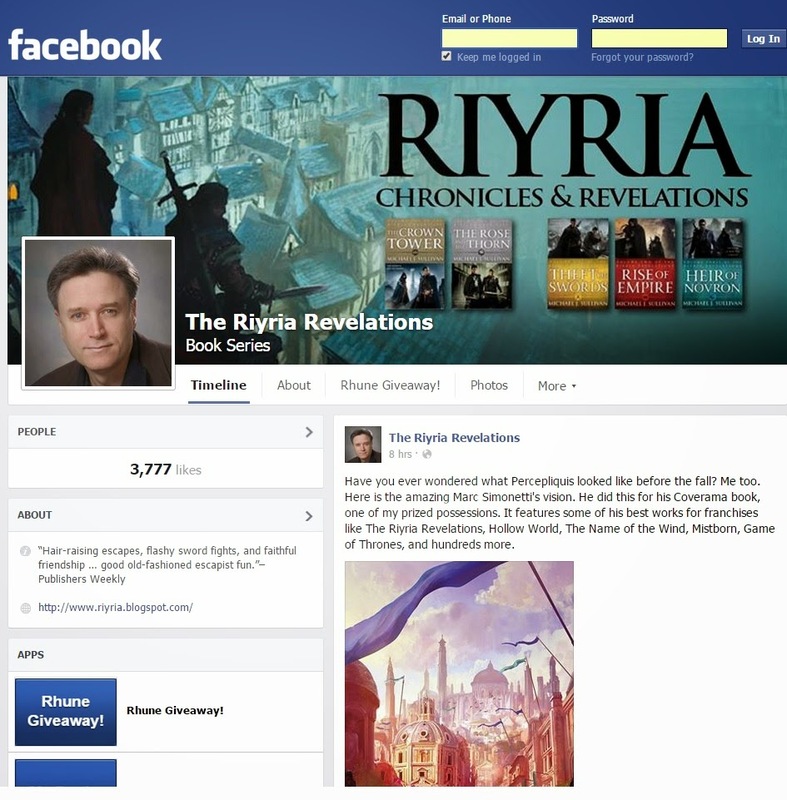 Way back in September 2011, Orbit made a Facebook page for The Riyria Revelations. At the time they were doing some pretty cool stuff with "like unlocking." Every time we hit a new milestone a bit more of Theft of Swords would be posted for people to read. It was a cool idea. Over the past several years, they have been running the page for me, and from time to time I'd give them some information to post. They did a nice job, but still it was frustrating having to go through them for the updating...especially given they have more than just me to worry about ;-). I'm definitely NOT an expert when it come to Facebook, but seeing when people comment or post to it will certainly help with how timely my replies will be. Hopefully I'll get better with it over time. If you haven't "liked it yet" - then please do. It's a great way to share your love for Riyria with your Facebook community. Take a look at this essay topics https://paperovernight.com/blog/narrative-essay-topics. Do you want to add some more or this is enough for you?